My mom bought a bunch of bananas at a local fresh market recently. 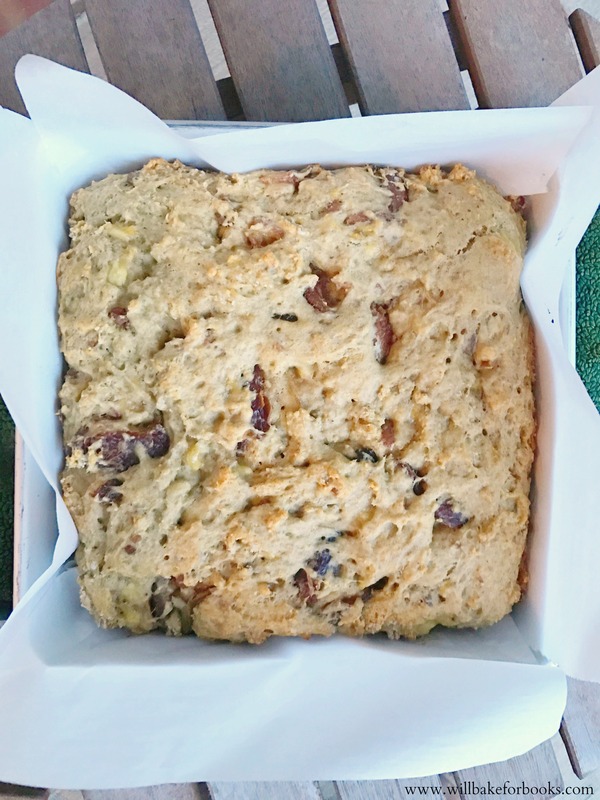 We wanted to bake something with them and this is what we came up with – Banana Date Cake! 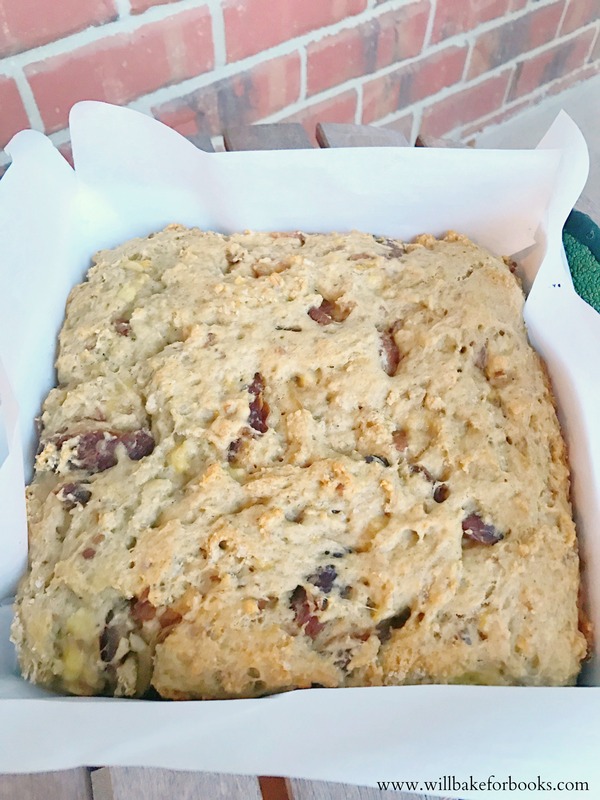 This cake is moist, yet still has the texture of a “cake” rather than a bread. The cinnamon gives it a nice spice and I love the texture of both the bananas and dates chunks in it. It’s a pretty clean recipe as well! No refined sugar in this cake, guys. Also can easily be vegan if using maple syrup instead of honey! This is a great breakfast/brunch cake as well. I loved it with a big cup of coffee in the morning. Plus, both kids and adults will enjoy! Recipe is below. 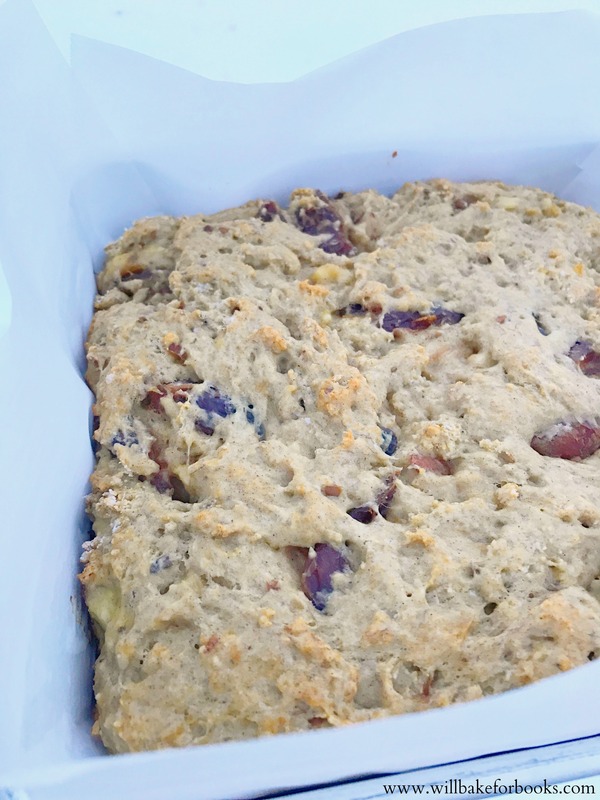 This banana date cake satisfies without being too heavy - both adults and kids will love! Place dates in a small bowl and cover with boiling water to soften. Preheat oven to 350 degrees F. Using parchment paper, line an 8 x 8 baking dish. Drain dates, add to large bowl along with bananas. Mash both together - chunks are ok! Add sweetener, coconut oil, lime juice, and vanilla. Whisk to combine. In a separate bowl, whisk together all dry ingredients. Sift into the wet ingredients and fold gently until combined. Mixture will be thick and goopy - that's fine! Try not to over mix. Pour into prepared pan and bake for 25 minutes, or until toothpick comes out clean. Cool before slicing and serving! If you'd like, you can serve drizzled with melted chocolate! Original recipe is from Terry Walter’s Clean Start cookbook.